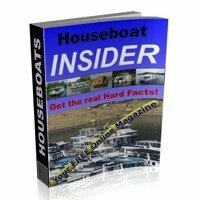 Houseboats For Sale - decisions and tips for all new house boat buyers. 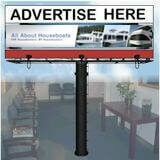 Houseboats For Sale - tips for new house boat buyers. Houseboat manufacturers and builders are strewn throughout the web, but when it comes choosing a houseboat to buy, how did you OR how can you decide which is best boat for you? Different boats have different uses? Some houseboats are smaller lighter, so they're better suited for fast cruising and transportable. There are also big houseboats that are generally slower, yet have plenty of room for family and friends. Decisions decisions, what are you using the boat for? * Boat use: entertaining, fishing, anchoring, cruising? * Smooth lake cruising, or rough river conditions? * For a couple, or large family friends and kids? * Weekend holiday use, or extended yearly living? * More stationary boat, or smaller trailerable? * Low maintenance, or classic wood higher maintenance? 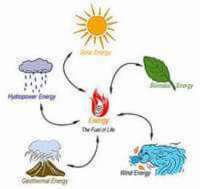 * Climate conditions, heating or air conditioning? * Boating budget, small = less cost, bigger = more? 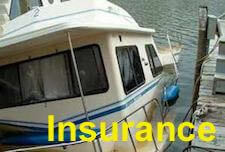 * Older boat means more repairs than newer boat? Now let's look at different boat styles, makes, and equipment choices? Decisions decisions, what to buy, or what DID you buy? * Buy a new boat, or find a good used boat? * An aluminum, fiberglass, steel, or wood? * Pontoon, planing, or full hull (barge)? * Outboard, sterndrive, or I/O setup? * Do you want single or dual twin engines? * Buy a 4, 6, or an 8 cylinder engine? * Buy gasoline or diesel fuel engines? * Prefer a single or dual helm (flybridge)? * Want to cruise (5 mph) or plane (20 mph)? * A smaller trailerable or larger roomy boat? As you can see, buying a houseboat is a lot more complex than you thought, so many variables and decisions to be made beforehand. 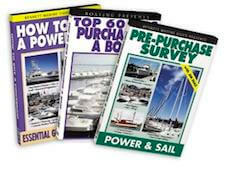 If you're serious about buying a boat, the best piece of advice for new boat buyers, is take a moment and read this invaluable book on Buying a Boat. If you're in the market to buy a houseboat, you should signup for our free Houseboat Insider magazine, and as a bonus you can download our free Pre-Visit Checklist. The checklist is extremely useful in keeping track of all the individual equipment and details of the boats for sale you visit. Lastly, hopefully our visitors and readers will share and post comments about their buying a houseboat for sale experiences. Feel free to use the "Click here to post comments." link found near the bottom of this page. 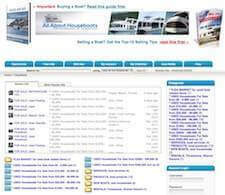 Comments for Houseboats For Sale - decisions and tips for all new house boat buyers. Ian, looks like you have most of the bases covered here. Good job. One item I would add is affordability. Can you afford the boat you really want right now? Have you a "slush fund" set aside for unexpected problems? Will you be able to do what you really want to with your boat with today's rip off fuel prices? Especially those on the water or at marinas. These are usually $.50 to $1.00 or more per gallon than land station prices. Just something else to consider when you go on the hunt. Ray, you bring up a few good points there, definitely worth keeping in mind.